The UK’s best coach tour operators, and tourism industry suppliers, were honoured on the 22nd March at the 2017 British Coach Tourism Awards. 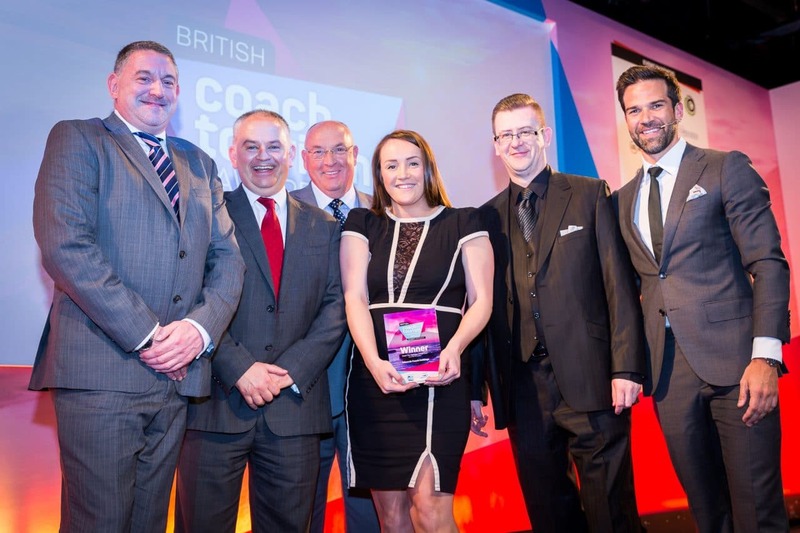 Edwards were up against an outstanding shortlisted selection of UK based coach operators but, once again the fifth generation family business Edwards Coaches stole the show at the awards ceremony that celebrates the best in British tourism. Jason Edwards FCILT – Managing Director, collected the award on the night and commented “This is an outstanding achievement and contribution to the British tourism industry for all the staff at Edwards Coaches. I can honestly say that the nerves were showing on the night, and when the words ‘and the winner is’ … was announced, you could have heard a pin drop, but soon the room erupted with applause for Edwards. I am really proud and somewhat humbled to be recognised yet again at such a high level, Best in Britain doesn’t come easy and this accolade certainly makes us stand out from the crowd’. Celebrating its 12th Anniversary, the prestigious awards ceremony, which took place at the National Motorcycle Museum in Birmingham following the first day of the British Tourism & Travel Show, brought together over 350 industry professionals to recognise and celebrate excellence and innovation across the multi-billion pound coach tourism sector. There are many tourism awards, but only the British Coach Tourism Awards specifically focus on coach tourism. They are the most important annual celebration of the very best our industry has to offer. As well as recognising excellence and innovation in all aspects of the trade on a big stage, the awards offer winners a big morale-booster for hard working teams such as Edwards.